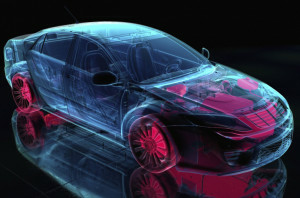 Automotive safety systems are becoming more and more complex every year. With sensors and cameras driving lane assist technology, braking systems and more, the ability to engineer these products—while also staying in compliance with regulations—can be a real headache. Just ask … TRW. TRW is one of the world’s leaders in automotive safety systems. However, until recently, their global team of engineers was being strained to keep up with product demands. That is, until they discovered PTC’s Integrity Lifecycle Manager. Using the Integrity Lifecycle Manager, TRW engineers have been able to streamline their product development process company-wide, and that’s lead to numerous, positive effects including increased productivity, breakthrough innovations and a clearer roadmap for future product development. Why the future of product development will require better lifecycle management protocols.